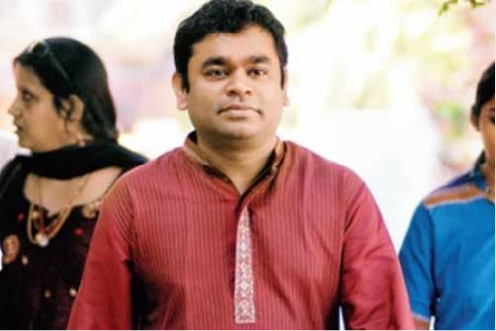 Oscar-winners AR Rahman and Resul Pookutty are troubled souls. Both deeply religious, they have been traumatised during their visit to the Dargah of Moinuddin Chisty in Ajmer. They were shocked to see that the path leading up to the religious site is covered with human excrete and the stink of filth was in the air to greet the people traveling there. A global heritage site and a tourist attraction, the Dargah literally needed a serious face-lift. Rahman and Resul could not bear this sight and took the onus on them to get the place clean. Accompanied by acclaimed filmmaker Shekhar Kapur, the duo offered a chadar at the shrine to kick start their campaign. BT has learnt that they wrote to the Prime Minister of India, Manmohan Singh, about the dismal state of affairs asking him to look into it. The duo also approached the WAKF Board, the trust at the Dargah as well as the All India Muslim Personal Law Board for help in their initiative. Their work has paid off as Resul confirms to us that the Government of India under the Jawaharlal Nehru National Urban Renewal Mission has sanctioned Rs 38.42 lakh for Ajmer. We also hear that the major works under this scheme would be the improvement of Nai Sadak (the path to the Dargah) and the development of pathway from Dargah to Taragarh. Underground cabling work as well as building and maintaining community toilets are also on the agenda. Resul confirms to BT saying, "The Dargah is very close to our hearts. It comforts our souls and we have become very attached to it. We could not really gulp down that the bad condition of the surrounding at the Dargah that attracts people from across the world has become a way of life. We wanted to change it and make the place look hygienic. We wrote to the PM and we have got a confirmation from the PMO that they have sanctioned the amount. We just don't know who will be in charge of the clean-up. Something needed to be done urgently."